A Paolo Venini. 'A Bolle' Murano glass vase. 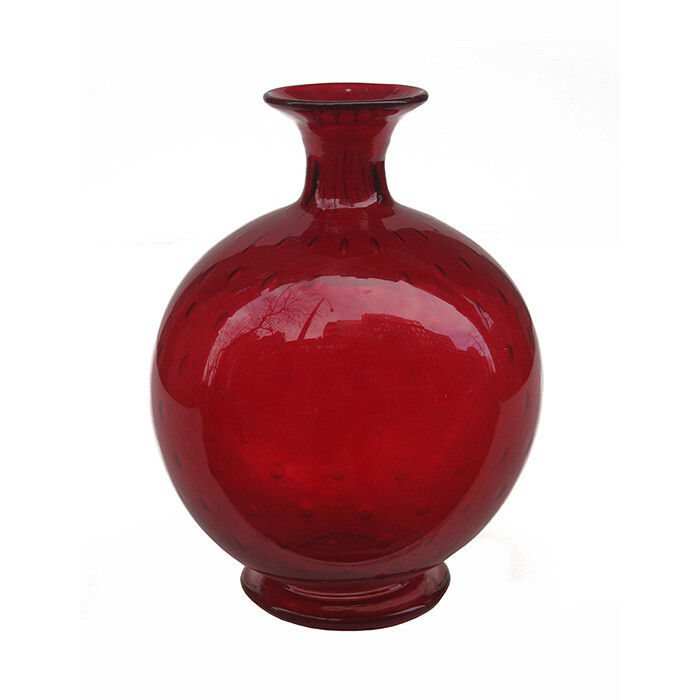 Murano glass, clear and ruby-red with air-inclusions. Signed: Venini Murano Italia. Dimensions: H:10 Diamater: 7 Inches.